Before Tuesday night, Mateo Kovacic had started just once in this season’s Champions League. That was reflective of the Croatian’s role at Real Madrid. Kovacic is, by and large, a squad player. There have been points over the course of his career at the club where he has staked a claim for a regular starting spot, but for the most part he has been a supporting act. Not against Paris Saint-Germain at the Parc des Princes, though. Zinedine Zidane favoured Kovacic over Toni Kroos and Luka Modric for the season-defining Champions League last-16 second leg, with the Croatian turning in his best performance as a Real Madrid player. It might have been the best performance of his entire career. Of course, Kovacic has long been viewed as something of a rising star. There’s a reason he was handed a six-year deal upon arriving at the Estadio Santiago Bernabeu in 2015. Now 23, though, the Croatian needed to start showing that he can become a key first team figure for Real Madrid and that’s exactly what he did against PSG. Alongside Casemiro in the centre of the pitch, dovetailing with both Marco Asensio and Lucas Vazquez, Kovacic dominated the midfield play. He dictated the pace and direction of the game through the middle, facilitating Real Madrid’s counter attacking game plan. He was the valve through which they played. Marco Verratti, deemed to be one of the best central midfielders in Europe, couldn’t get near him. This was a landmark moment in Kovacic’s Real Madrid career. For those who have watched him regularly over the past two-and-a-half years, his ability and potential has never been in any doubt, but this was a demonstration to the world. The Champions League is where great players make their mark and on Tuesday night, with it all on the line against another European heavyweight, Kovacic left his impression. Despite their continued success in the Champions League, Real Madrid remain a team in transition. They are a side caught between two generations. Kovacic is part of the next generation and against PSG he showed that the transition is taking place. It may well be looked back upon as a passing of the baton. Kroos and Modric are far from finished, with the latter in particular possibly in the form of his life this season. Had the pair not been sidelined through injury recently they might well have started against PSG over Kovacic but by taking his chance so emphatically, the former Inter man has put down a marker, not just on the pitch, but in the mind of his coach too. Zidane flexed his tactical muscle by out-thinking, and outmanoeuvring Unai Emery on Tuesday night. With many questioning the Frenchman’s long term future at Real Madrid, he underlined his brilliance at the top level. However, it was only through the adaptability of his players that Zidane was able to implement such an effective game plan, and Kovacic embodied that adaptability. That is where Real Madrid – for all that they have undoubtedly struggled at times this season – still have the edge over their Champions League competition. They are a Swiss Army knife of a team. While Barcelona might have a better starting XI, Ernesto Valverde doesn’t have the depth and the options across the pitch that Zidane has. In the Champions League, where the margins are minuscule, that can make the difference. 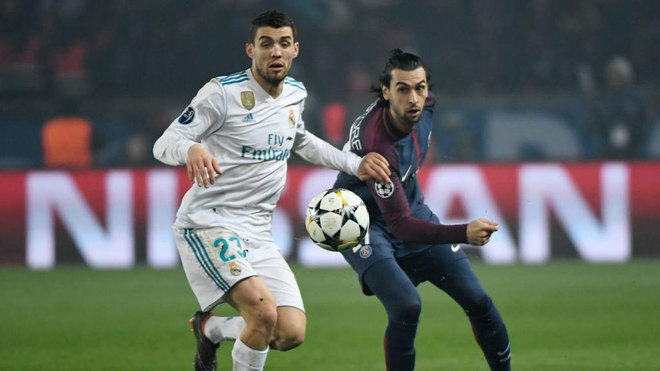 The subject of transfer speculation of late, with Premier League and Serie A sides linked, Kovacic showed against PSG why he belongs at Real Madrid. What’s more, he showed why he should be an integral part of Zidane’s next generation, the group of young players who will keep Real Madrid competing at the top of the European game. For both player and team, Tuesday night was hugely significant.